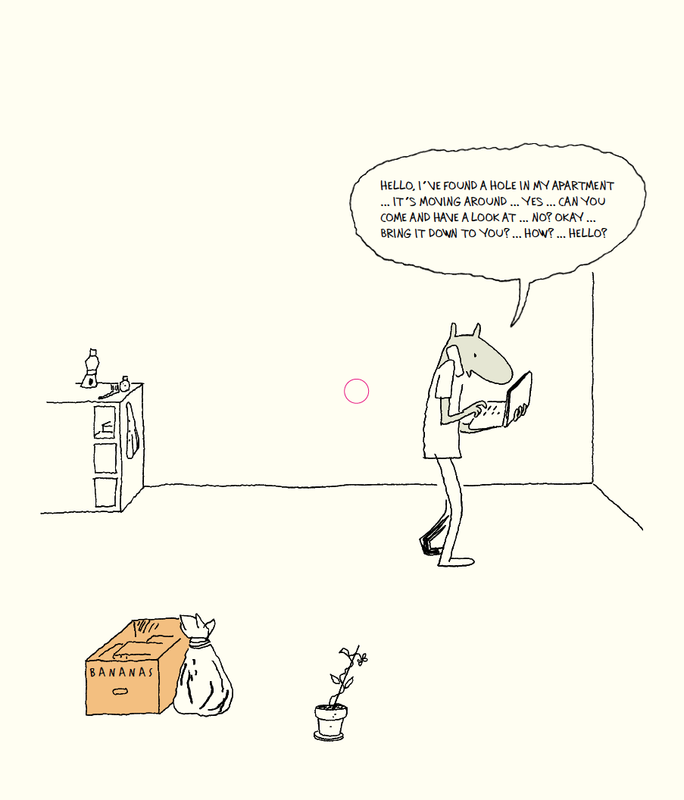 In The Hole by Oyvind Torseter (Wilkins Farago), recently translated from Norwegian into English, a man moves into an apartment and finds a hole. There is a literal hole on every page of this sophisticated picture book. The precise line drawings tell the fascinating story.